Today from 1:30-2:30 eastern time, Bruce Schneier is here to answer your questions about surveillance, infosec, and private data. He's the author of Data and Goliath: The Hidden Battles to Collect Your Data and Control Your World (read an excerpt). Schneier is a security technologist, and CTO of Resilient Systems, Inc. 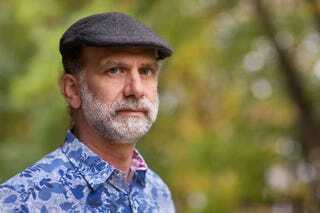 He blogs, and tweets at @schneierblog. Ask him about his book, his work on infosec, and the the data that we're sharing online without even realizing it. He'll get to as many questions as he can during the hour that he's here. Please be polite! UPDATE: Question time is over! Thanks everyone.